Specially designed to endure severe vibrations in marine engines, due to its internal anti-vibration system and oil filled case. 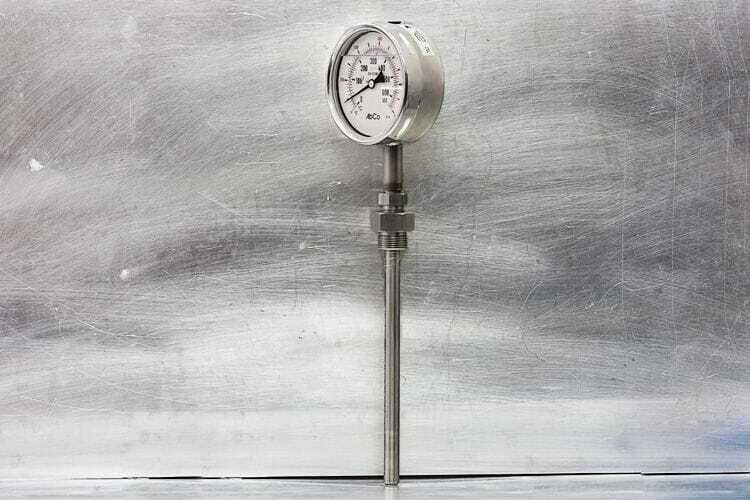 Measuring range: double scale 0-650ºC / ºF. Direct bottom stem 200x13 mm. or 300x13 mm. Sliding connection on stem 1/2"BSP-M. or G 3/4"BSP-M.
Other mounting types or thread connections upon request.